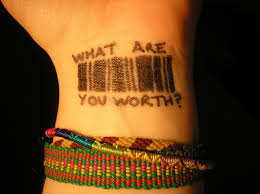 Sally will be running a number of Know Your Worth one-day workshops in 2015 and 2016. If you would like to be notified of dates once they are scheduled or would like to express interest in attending this workshop, please email. I find myself almost apologising for how much I charge for my service or products! People tell me I should be charging more for what I do but what I do is so easy, how can I charge more? I’ve been told I’m underselling myself but if I charge more, surely people won’t buy?! My boss exploits my conscientiousness but what can I do? I know I need to put some boundaries in place with certain people but how? If any of the above statements resonate with you or perhaps you know someone who makes comments like these, my Know Your Worth workshop is the answer! This workshop runs as a small interactive workshop so places are very limited.